This morning my daughter woke up saying she wanted to make Binoculars with me. 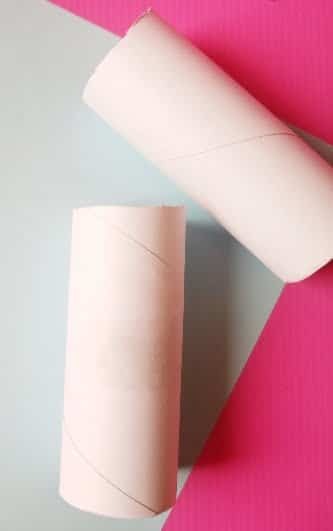 She had spotted an empty paper roll in my crafts room. To be honest i was actually looking forward to making a glittery golden slime instead. 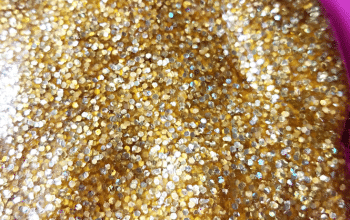 Similar to this Glittery Ocean Slime. But since she seemed more inclined towards her pretty Royal Binoculars Craft i decided to make that first. I told her that she would have to do most of the crafting herself. I wanted to give her confidence to try it on her own. So today i took a back seat and let her do as much work as she could. I had asked her what would be the theme of her binoculars and of course it just had to be a royal one. 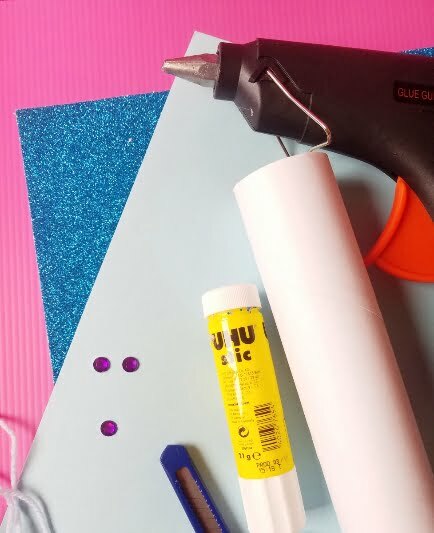 * Do Not let children use the X-acto knife and the Hot glue gun. 2. 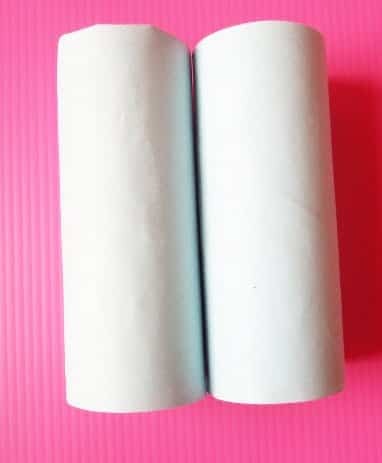 Now wrap the Blue paper around each roll. 3. Next hole punch the sides of each roll. This is so that we can tie our blue yarn. 5. 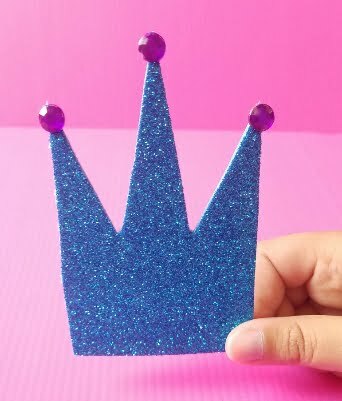 Cut a crown shape from the Blue glitter paper. Stick pretty gems on it. 6. Lastly Fold the bottom part of the crown and stick it on the binoculars. 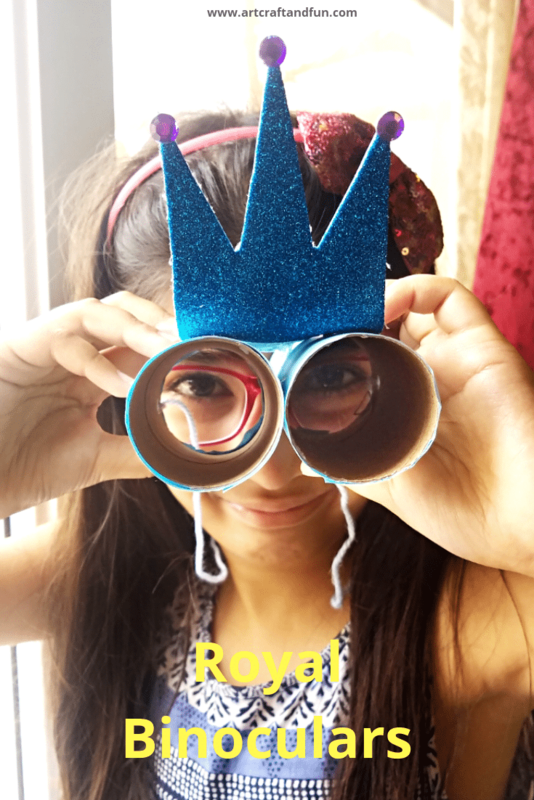 The gorgeous Royal Binoculars Craft is ready now. And i can proudly say my daughter did a good job of making this mostly herself. This was such a fun and easy craft to make. And the best part is that my daughter loved playing around with it all day. She kept spying around the house. Looked for some birds and clouds outside. Even took it to the park with her to show it off to her friends. 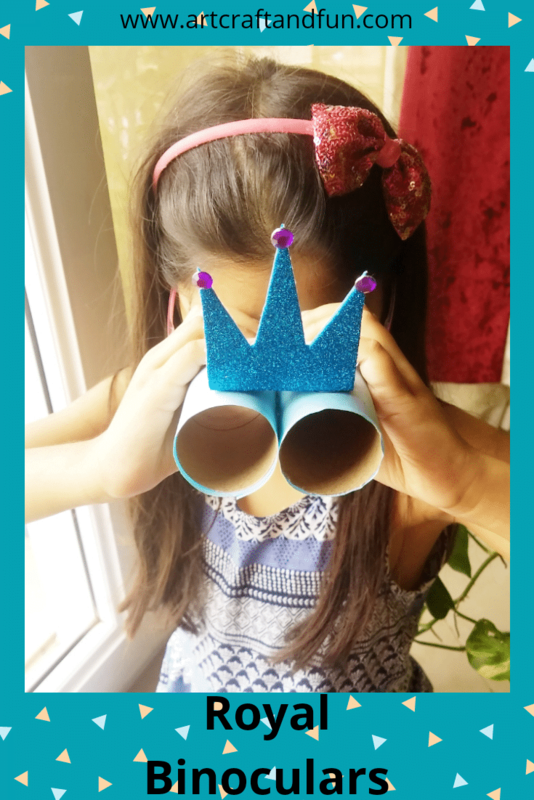 They all had a blast playing with this pretty Royal Binoculars Craft. 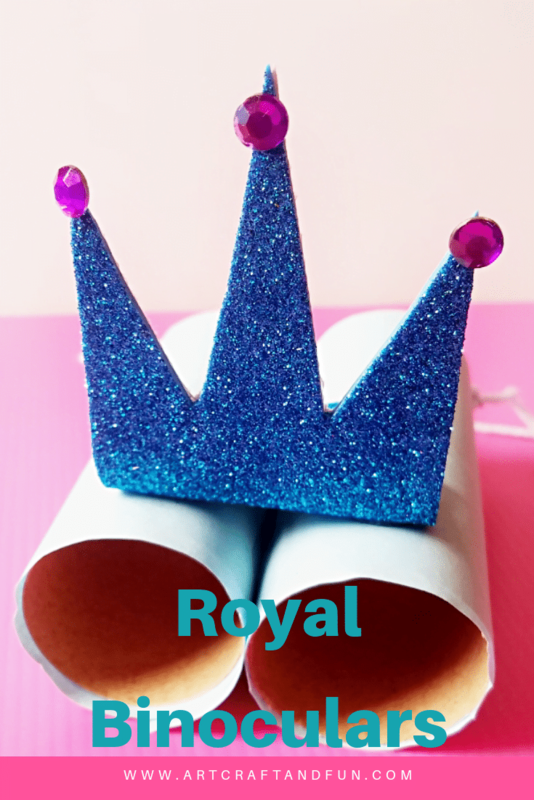 This can be a perfect classroom craft or a royal party craft. 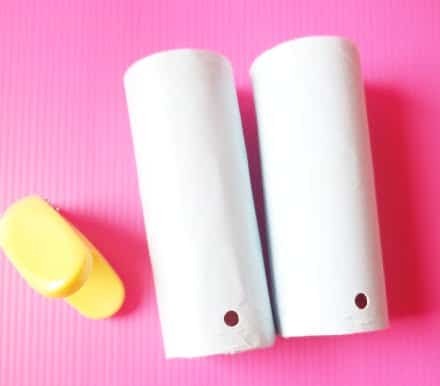 You can make the binoculars before hand and let the kids decorate them at the party. A fun activity for sure. I hope you enjoy making this craft as much as we did. 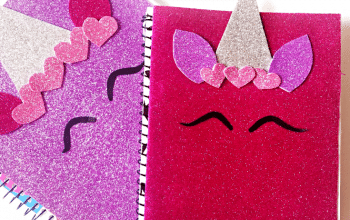 For some more fun and useful crafts do check out my Magical Unicorn Pencil Holder Craft and my Mermaid Pencil Holder Craft. Happy Crafting With Us.!! This is a cute idea! 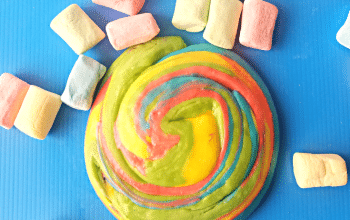 My nieces are spending the night soon so we may try to make these. These are such a cute idea, I will definitely have to try these with the kids, thanks for sharing! That royal binoculars look super cute! My nephew is going to love it!